Ronna is an internationally known author, lecturer and messenger for Archangel Michael. Over the past twenty-five years, his messages of hope and inspiration through Ronna have been featured in thousands of inspirational and spiritual publications around the world. These important wisdom teachings via the monthly messages and her over fifteen books and ebooks have been translated and published in many major languages. Ronna’s extensive background as an administrative assistant to the president of a large corporation, and also as a real estate broker/manager of a very successful real estate company in Southern California, helped prepare her for her second career as an inspirational teacher, lecturer and author. She teaches a common sense approach to the basic principles of spirituality. Thousands of people around the world testify that her books and seminars have changed their lives for the better. 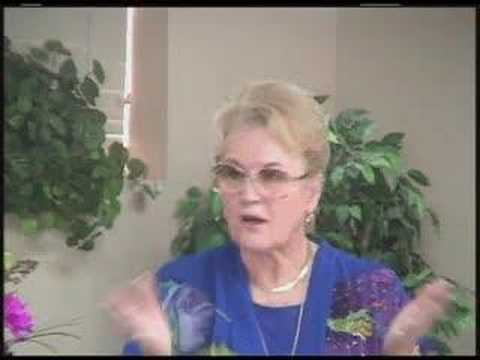 Ronna established her company/website *STAR*QUEST* in 1994 and is currently known worldwide for her inspired monthly messages from Archangel Michael, and for her life-changing seminars and workshops. Over the years, Ronna has sold thousands of her books, and many other related products on her website. Although Ronna is now in her eighty-eighth year around the sun, she enjoys excellent health and vitality. Ronna rarely travels anymore; however she, along with her business partner /spiritual brother, Randy Monk, periodically hold a series of very popular webinars called Archangel Michael’s Wisdom Teachings. Randy is also the Executive Facilitator of Ronna’s Quest for Mastery School, which focuses on assisting others to become proficient instructors of Archangel Michael’s spiritual teachings for the New Age. Ronna is a living example of what she teaches: to integrate the subconscious, conscious and superconscious minds, to heal the physical, emotional and mental bodies, and to partner with Spirit to become a Self-master and a cocreator of love, abundance, peace and joy.